For the Cardinals, the consequences of their reported hack of the Astros' Ground Control database will likely have serious consequences—and here's why their illegal act should. Despite his ownership of one of baseball’s most tradition-fetishizing organizations, the Cardinals’ Bill DeWitt is a forward thinking executive. 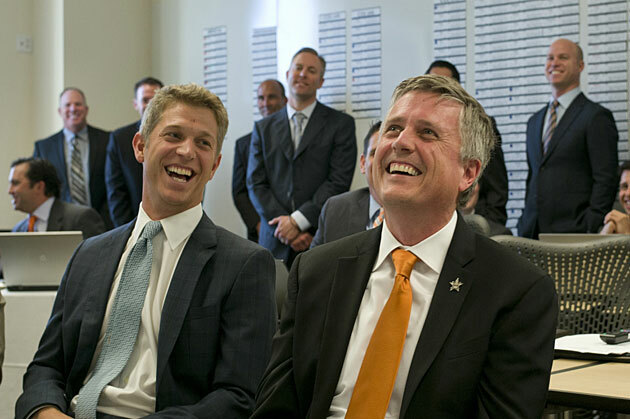 It was that quality that led him to hire Jeff Luhnow 12 years ago as his vice president of baseball development. Luhnow created the Cardinals’ analytics department, hiring, among others, a brilliant former NASA scientist named Sig Mejdal and building up the club’s internal baseball operations database, called Redbird. By 2006, Luhnow was running the scouting and player development for the organization. All the while, though, detractors both outside the Cardinals and within were grumbling about Luhnow. They saw him as a know-it-all outsider who, despite his complete lack of a baseball background, believed he knew how to do things better than they did. The really frustrating part was that it seemed as if he actually might. Luhnow’s draft classes stocked the Cardinals’ teams that reached the playoffs in five of six years between 2009 and '14 and won the World Series in '11. His '09 draft yielded pitchers Joe Kelly, Shelby Miller and Trevor Rosenthal, plus infielder Matt Carpenter and first baseman Matt Adams—20% of the roster of that would win the National League pennant four years later—and is considered among the best ever. The Astros hired Luhnow away from St. Louis in December of 2011 to be their general manager. He would sooner or later bring along several of his Cardinals colleagues, including Mejdal and a young scout named Mike Elias, who is now Houston’s scouting director. After Tuesday morning’s stunning report by Michael S. Schmidt of The New York Times—which revealed that the FBI is investigating whether current members of St. Louis’ front office were behind a 2013 hack of the Astros’ proprietary internal database, Ground Control—it seems possible that the only thing more maddening for certain Cardinals officials than working with Luhnow and his department was working against them. According to Schmidt’s report, FBI and Justice Department officials believe the motivations for the hack were two-fold: to disrupt Luhnow’s work in Houston, and also to determine whether he had taken proprietary information to his new club. The Cardinals' officials allegedly examined a list of passwords used by Luhnow and the other former St. Louis executives he brought with him to the Astros, then used those to access the new system illegally. Director of amateur scouting Mike Elias (left) and general manager Jeff Lunhow both worked for St. Louis before coming to Houston. Last year, when I was reporting what would become an SI cover story on the Astros’ unprecedented rebuilding effort—an effort that is now producing results, as after six straight sub-.500 finishes, Houston currently has the second-best record in the American League—I was given a look at Ground Control inside the club’s offices, which abut Minute Maid Park. It is, to be sure, an impressive and multifaceted database. It contains scouting reports (complete with on-demand video), statistics, injury histories and projections for every professional player and amateur prospect on the pro radar. It suggests the optimal defensive shift to be deployed against every opposing batter. It allows team executives to view the locations and schedules of all of their scouts on any given day and to figure out how to most efficiently deploy them. It enables them to keep notes on trade discussions. It is, in other words, an extremely advanced organizational tool, but many—perhaps most—other clubs have developed similar databases. What Ground Control really amounts to is the centralized, collective brainpower of the individual members of the organization. Without the analytically and intellectually gifted human minds that both design it and feed it information, Ground Control is useless. It is a strong possibility that the Cardinals' officials who allegedly hacked the system were not entirely motivated just by a desire to sabotage Luhnow or to determine what information he had brought with him to Houston, but also by an unquenchable curiosity to see what innovations he and his brilliant colleagues had made since they left. The urge to do so must have been so very difficult to stave off. They knew the passwords—of Luhnow’s many qualities, paying attention to warnings about best computer privacy tactics were apparently not among them—and so access to the contents of their old colleague’s mind was sitting right there before them, like a Pandora’s box. That some contents of Ground Control were publicly leaked certainly suggests a degree of maliciousness, but it is possible to understand the fundamental desire to take the step of having a look inside, especially when it seemed so easy, and especially within the hermetically sealed world of baseball’s front offices, in which ramifications seemed both improbable and abstract. The ramifications for the Cardinals, though, will likely be very real. Some Astros officials were said to be blindsided and shocked by Tuesday’s report; they knew Ground Control had been hacked, but they did not know that the perpetrators appear to have been people who a number of them once called their co-workers and friends. The reputation of the Cardinals as baseball’s best and most morally run organization has been forever tarnished. This is worse than the Spygate and Deflategate scandals that tarnished the NFL's New England Patriots in recent years: It is a criminal act, and criminal charges will likely result. Luhnow, the businessman-turned-baseball executive, was a curiosity when DeWitt hired him to work for the Cardinals. His different way of thinking about baseball helped St. Louis to extend its long run of success in a modern age, even as some within his own organization were wary of him. Even after he left, he and his staff apparently remained a fixation for, at the least, a few rogue members of the Cardinals’ front office, one that led them down an almost unimaginable path. Now they, and their great franchise, are due to face the consequences.